Vinyl tops were a popular "dress-up" option on a lot of cars in the 60's and 70's. Very few models come with them but it's pretty easy to make your own. First, find some styrene strip that roughly matches the chrome trim already on the car. 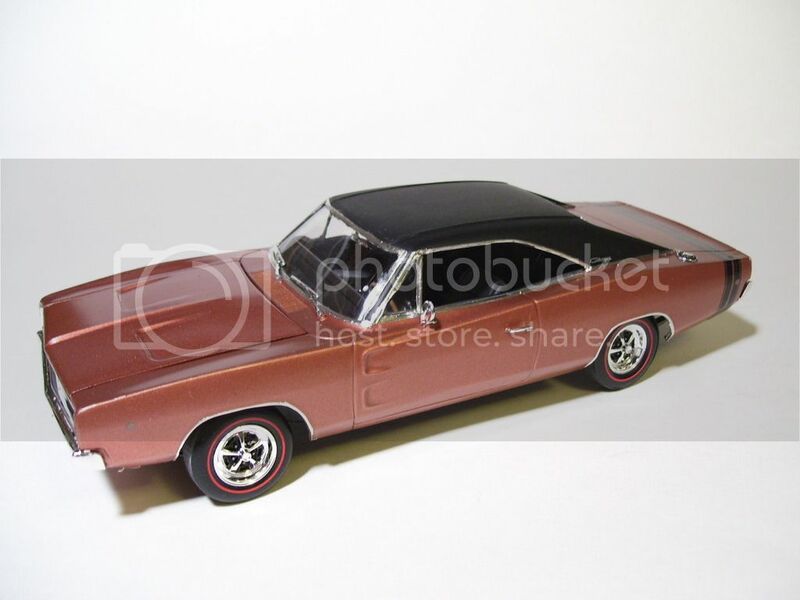 I found 020" square looked about right for the Revell '68 Dodge Charger I was working on. Now lay the strip around the border of what will be the vinyl top. Most vinyl tops have seams running through them, these can also be replicated with strip styrene. You can sand the seams down a little bit to make them less prominent. Now, you can mask off the rest of the body and paint the top. Holding a spray can of the color of choice about 3 feet from the model, spray the top. The "orange peel" caused by holding the can so far from the model nicely replicates the vinyl fabric texture. Once that's dry, unmask the rest of the body and paint as normal.